Teach Online Research Skills AND Engage Students! Although young people today are savvy Internet users, often their skills are restricted to social media and video and photo sharing sites. Their research skills may be limited to a Google search and clicking on one of the first sites that appear. Now, more than ever, a wealth of information is instantly available to students through their smartphones, tablets, and digital devices. But research skills are complex. 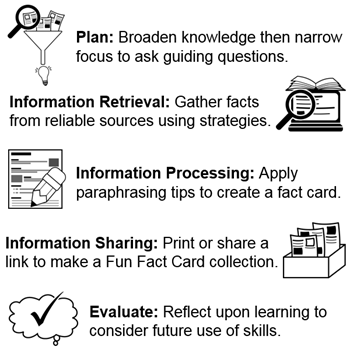 The inquiry process involves critical and strategic thinking, skimming and scanning techniques, and evaluation of sources. Then information must be reworded and summarized, sources must be cited, and the results must be presented in a clear and appealing presentation. Learning an essential research process that can be applied throughout their academic years is critical for today’s students. Study samples – For inspiration and to gain an understanding of the research project, a collection of completed fun fact cards is surveyed. Ask questions – Use the Research tool and Wikipedia to narrow the focus. 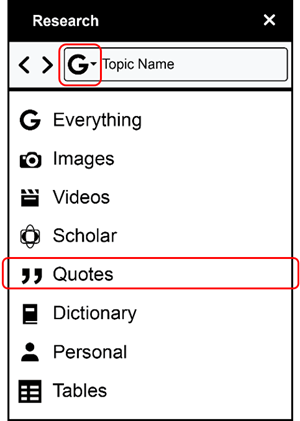 Create an outline – Organize ideas using headings. Learn search strategies – Find multiple sources, assess if they are trustworthy and reliable, and learn how and why to cite the source. Paraphrase and rewrite – Summarize and rephrase information to avoid plagiarism. Consider the reading level of the audience. 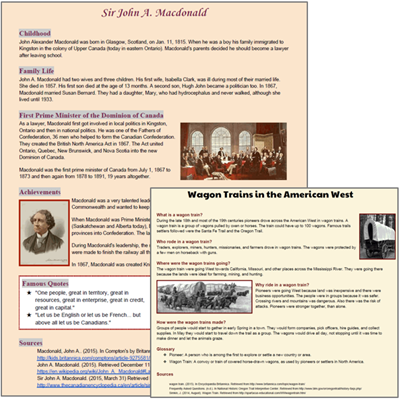 Build Word Processing Skills – Learn formatting techniques and add images to make a unique one page fun fact card. Using TechnoResearch, students learn skills to create a fun fact card on any topic. The TechnoResearch technology project includes five additional, optional extension activities to challenge students further and build research skills. The goal of this project is to teach strategies that are transferable to any research project.